The bin Laden family disowned Osama in 1994 when Saudi Arabia stripped him of his citizenship because of his militant activities. The family is a large and wealthy one. 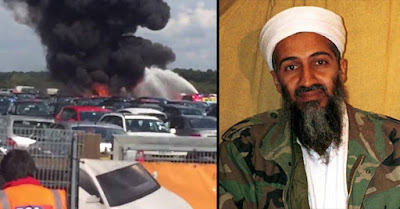 Osama bin Laden’s billionaire father Mohammed had more than 50 children and founded the Binladen Group, a sprawling construction conglomerate awarded many major building contracts in the Sunni kingdom. Mohammed bin Laden died in a plane crash in Saudi Arabia in 1967. One of his sons, Salem, was also killed when his ultralight aircraft flew into power lines in San Antonio, Texas, in 1988.